Shear brilliance for Pembrokeshire’s islands! Three small islands off the coast of Pembrokeshire are flying high this month, as the latest seabird census results indicate that they are now home to more than 50 per cent of the world’s entire Manx shearwater population. It’s estimated that nearly a million breeding Manx shearwater adults reside on Skomer, Skokholm and Middleholm; based on the monitoring work by The Wildlife Trust of South and West Wales (WTSWW), the National Trust and the University of Oxford and University of Gloucestershire. The survey was part of the Joint Nature Conservation Committee’s Seabirds Count census, and took place in June 2018. It required a careful approach as Manx shearwaters nest in burrows, meaning the team had to watch their footing to ensure minimum disturbance to the fragile nests. The monitoring work involved playing the seabird’s social call, which had been pre-recorded on an audio device, into a sample of burrows across the three islands. If a bird responded to the call then the burrow was recorded as active as part of the survey. “It was a privilege to be part of the team who, by using a survey method which encouraged a higher proportion of nesting birds to make themselves known than ever before, helped to produce our best estimate yet of how many pairs of this remarkable seabird breed on these islands,” enthused Richard Brown and Giselle Eagle, wardens on WTSWW’s Skokholm Island. 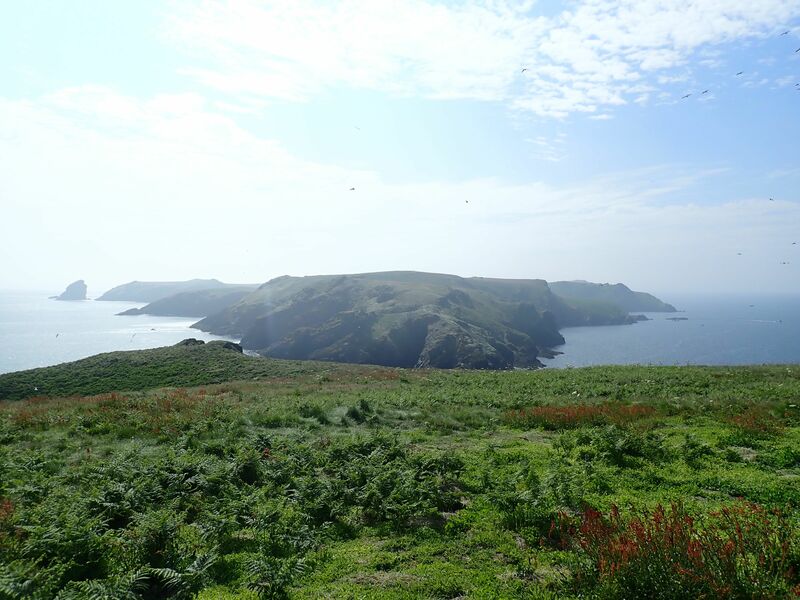 Results suggest that there are nearly half-a-million breeding pairs in total across the internationally-important islands, with 89,000 on WTSWW’s Skokholm Island, 350,000 on WTSWW’s Skomer Island and 16,000 on Middleholm. Speaking about the overall findings, the University of Gloucestershire’s Matt Wood, who helped coordinate the census, said: “Seabirds are in such trouble globally so this is great news internationally, not just in Wales – nearly a million breeding adults on these three small islands, and if you include the teenagers hanging around nearby and the chicks in their burrows in August you can almost double that number. For the National Trust, the data is especially exciting for Middleholm as area ranger James Roden explained: “The 2018 census on Middleholm was the first time in 20 years that Manx shearwaters have been recorded on the tiny island, and it’s great to see that the population is much larger than we first thought. The monitoring work was made possible through funding support from Natural Resources Wales, The Seabird Group, The Wildlife Trust of South and West Wales and National Trust.